Luxurious 100% Human Hair for Weaving, Braiding and Locs! We have your dream hair at Afro World. You can find hair extensions in a variety of lengths and textures. Be confident about the way you look with hair replacements that are designed for men of color. We in specializing in matching hair pieces for a natural look. 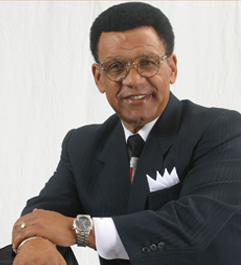 In 1969 Russ Little Sr. established Afro World Hair and Fashion Company to fill the need for high-quality hair pieces and fashion for African Americans. Our goal has always been to offer the highest quality hair pieces for both men and women, from toupees to wigs. We want our clients to feel confident with all purchases so we add our personal touch to each order. In addition to wigs and weaves, we carry: repair items for dreadlocks, needles, brushes, manikins and adhesive. Afro World also sells unique gift items, such as fabrics, hair care products, Afrocentric clothing for men, women, and children. Afro World appreciates your interest. We would love to hear from you! Use the information below to get connected with us.